This is a strange and disconcerting psychological thriller. Two teenage sisters go missing and three years later, one of them returns home. The story alternates between the returned sister, Cass, recounting the sisters’ experiences, and Dr. Abby Winter, an FBI psychologist, recounting her initial investigation as she listens to Cass and leads the FBI search for Cass’ sister Emma. From the outset, Dr. Winter’s recollections and observations let readers know that something isn’t right with Cass’ story. Dr. Winters also starts the story with a detailed description of women with narcissistic personality. For me, there were too many early revelations. I like to discover an unreliable narrator as a story unfolds. Here, we are told too much about key characters before we have a chance to see or know them. I still found myself surprised and I kept having to revise my predictions about Cass, Emma, and their mother, but I don’t think the information dump at the start of the story helps it in any way. This is definitely a ‘tell’ book and not a ‘show’ book. As readers, we are fed information about characters and events through Cass and Dr. Winter’s narration. Early on, we know from Cass’ internal musings not to trust everything she says to her family and the FBI. This format works to keep readers guessing but it did little to develop characters that I cared for or felt emotionally invested in. At times, readers are given third-hand information when we get to see Dr. Winter’s responses to Cass’ revelations. This adds to the complexity of the story but it also makes for a long and drawn out story. This is definitely an exciting story. By the time we get to the last essential revelations, I was desperate for the FBI to solve the mystery and find Emma. Unfortunately, I felt that ending was disappointing. After such a long and tangled investigation, things resolved too simply. The ‘telling’ format that I didn’t mind when Cass and Dr. Winter were recounting past events didn’t really work in an epilogue format. I wanted clarity, closure, and bad guys brought to justice, but the ending didn’t quite give me the satisfaction I was looking for. 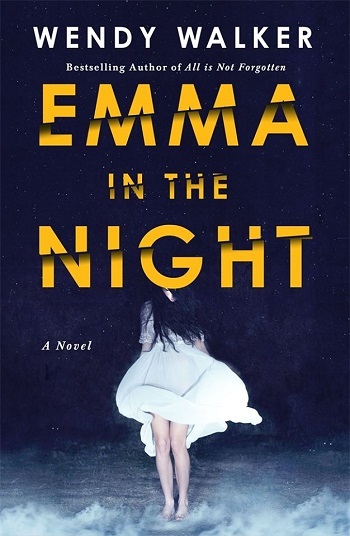 Reviewers on the Wicked Reads Review Team were provided a free copy of Emma in the Night by Wendy Walker to read and review.